Image: Corn in my side – A lack of available labour is an issue for many sectors of agriculture. Image by USDA, available at Flickr through a CC-BY 2.0 agreement. A pilot program kicked off in Queensland earlier this month, with the aim of connecting job seekers with potential employers in an attempt to fill agricultural labour shortages. After participating in an induction and training day, a group of job seekers was taken on a tour of Rugby Farms and Withcott Seedlings, two of the biggest agricultural enterprises in the Lockyer Valley. The tour provided an opportunity for the job seekers to gain an insight into the operational activities involved, meet key staff members and understand the type of jobs available. The tour also provided the opportunity for the two enterprises to identify potential employees – all refugees – many of whom have relevant experience for employment in agriculture. ‘The majority of people (on the tour) have come from rural backgrounds and farms and some owned their own farms and machinery companies. It’s about connecting that experience (to those looking for job seekers),’ said Karen George, a project manager from the Queensland Agriculture Workforce Network (QAWN). While this particular cohort was made up of refugees, there are plans to extend the program to other target groups including students, and older people. The labour shortage in agriculture is a significant factor limiting productivity and profitability, to the tune of $150 million a year according to report by AgForce Queensland. The 2012 report estimated that the industry needed to find at least 96,000 full-time skilled workers and 10,000 casual workers to address the issue. Several government schemes have attempted to address casual labour issues including the Seasonal Worker Incentives Trial, which allowed workers to earn an on-farm income without a penalty to existing welfare payments, as well as travel and living away from home allowances. Despite the hype, the trial was grossly undersubscribed with initial enrolment numbers as low as 14 workers – only 0.37% of the 3,800 placements available. The Australian Government pledged $30million of funding for the two-year trial, which commenced in 2017. 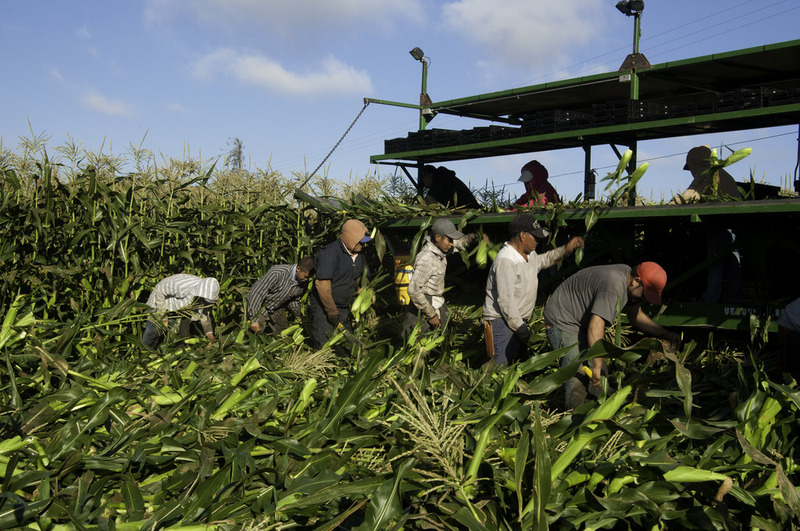 Many employers cited the unwillingness of Australians to pick crops as a key reason for the failure of schemes such as the Seasonal Worker Incentives Trial. ‘We employ Australians wherever we can get them, but for us it has been very hard to get Australians to come and do this work outside,’ said Andrew Findlay – stone fruit grower from Southern Queensland. The issue has driven many employers to call for changes to current visa programs to make it easier to employ overseas workers. ‘Seasonal work would be a focus, the sort of stuff that is being covered off by [other visa programs]’ said Ben Rogers, workplace relations general manager for the National Farmers Federation (NFF). ‘But it would be a broad approach to comprehensively address that very significant labour need within the industry,’ he said.